Mouse anti Human CD253 antibody, clone 2E5 recognizes the 281 amino acid protein termed TNF related apoptosis-inducing ligand (TRAIL), also known as Apo2L. TRAIL is a cytotoxic protein closely related to Fas (CD95), which induces extensive apoptosis in a range of cell types. TRAIL induces apoptosis via the receptors DR4 and DR5. Most normal tissues are resistant to TRAIL induced apoptosis due to their expression of decoy receptors, DcR1 and DcR2, which antagonise TRAIL activity. TRAIL is expressed by cell lines, activated lymphocytes and on syncytiotrophoblast cells in first trimester pregnancy.  This antibody neutralizes TRAIL activity. Recombinant human CD253 (TRAIL) aa 95-281. Plasilova, M. et al. (2002) TRAIL (Apo2L) suppresses growth of primary human leukemia and myelodysplasia progenitors.